The Nordic Letters Æ, Ø and Å – How Did They Get There? Home › Language › The Nordic Letters Æ, Ø and Å – How Did They Get There? The letter Æ is the first of the ‘Nordic’ letters in the Norwegian alphabet, originally a ligature representing the Latin diphthong A and E.
It has been promoted to the full status of a letter in all of the Nordic alphabets. As a letter of the Old English Latin alphabet, it was called æsc (‘ash tree’) after the Anglo-Saxon futharc rune. Æ is not just a typical Nordic letter. 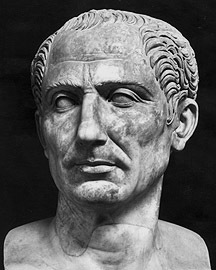 The Romans wrote Cæsar instead of Caesar. In ancient Latin, the pronunciation of Cæsar was Kaiser, which means ‘Emperor’. In Norwegian (and also German), the word for ‘Emperor’ is directly adapted from the name Cæsar. In some Norwegian dialects Æ has a significant meaning: the first person singular pronoun I, and it is thus a normally spoken word. Usually, it is written as Æ when these dialects are rendered in writing. The letter Ø comes from the character Œ, an ancient Roman ligature of O and E. It resembles the vowel u in the English word hurt. Œ is thus an exact parallel to the diphthong AE. There are uncertainties on how the modern form Ø has occurred, but it has been found in texts from the early Middle-Ages. Probably, the character origins from O and E, where E is simply printed inside the O. The character Œ is often used in Old Norse texts as a sign of a long E sound, and it is also used in modern languages, including French. The Danish word for ‘island’ is Ø and in Norwegian, Øy. Today, the letter Ø is used in the Norwegian, Faroese and Danish alphabet. The letter Å is a German invention from the late Middle-Ages. For English-speaking readers, the letter resembles the o in go and song. It came to Sweden with the printing press in the 1500’s. In Norwegian, Å was written as Aa until 1917. It was proposed to be included in all Scandinavian languages in 1869. The Danes waited until 1948, to include it in their alphabet. 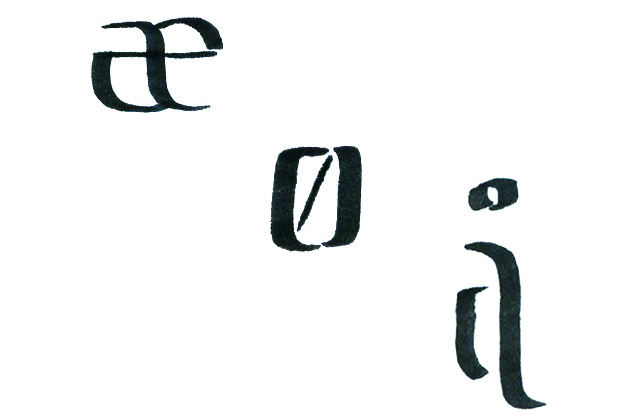 A common way to mark a long vowel in older languages was to simply write it twice, like the Finns do today. Eventually, the long A-sound in Norwegian, Danish and Swedish turned into Å and there was a need for a separate letter for this special sound. The letter Å is composed of two A‘s, one large and one small. When they designed this new sign, they simply put the little one on top of the bigger – and therefore the ring above the A. Photo on top shows the three letters in small prints written in calligraphy. I find this sort of thing fascinating, and these sorts of sounds baffling but it’s not unusual to see them in the rest of Europe. I’ve got a great book about how the Roman alphabet came into being and most of the letters are pretty old now. I find it amazing that you added a new letter as recently as 1948! 🙂 I particularly like the sound of the AE letter – that’s something I recognised immediately from films. Cheers.